User Interviews, an ERA-backed company out of New York, is looking to lighten that load with a fresh $5 million in seed funding from Accomplice, Las Olas, FJ Labs and ERA. That’s how User Interviews was born. 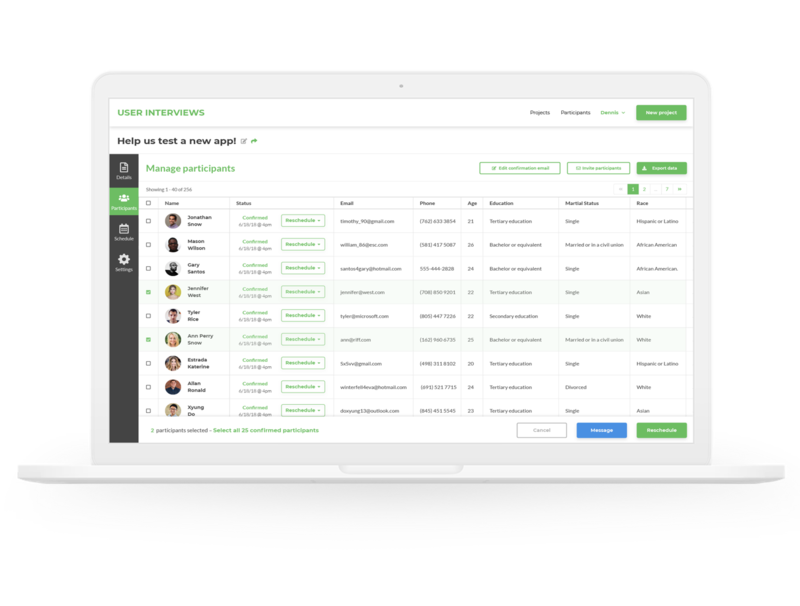 The platform’s first product, called Recruit, offers a network of non-users that can be matched with companies to provide feedback. In fact, User Interviews’ first sales were made by simply responding to Craigslist ads posted by companies looking for non-users from which they could collect feedback. But because the majority of user research is based on existing users, the company also built Research Hub, which is essentially a CRM system for user feedback and research. To be clear, User Interviews doesn’t facilitate the actual interviews with users, but tracks the feedback, facilitates sending emails and ensures that no one from the research team is reaching out to a single user too often.